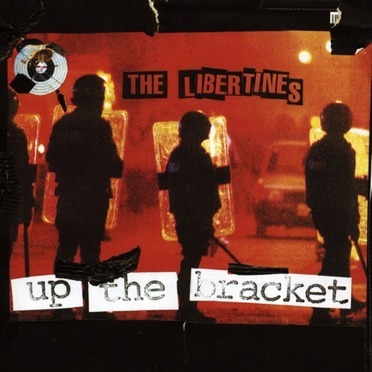 Up the Bracket is the debut album by English indie rock band The Libertines, released in October 2002. It reached #35 in the UK Albums Chart. The album was part of a resurgence for the British indie/alternative scene and received widespread praise from critics and has quickly become considered one of the greatest albums of the 2000s. The album's cover is based on an image of rioting during the Argentine economic crisis of 1999–2002.